This month during our student-led conferences, my students set 2 goals- a behavior goal and a learning goal. One of my student’s goals was to learn about fractions. 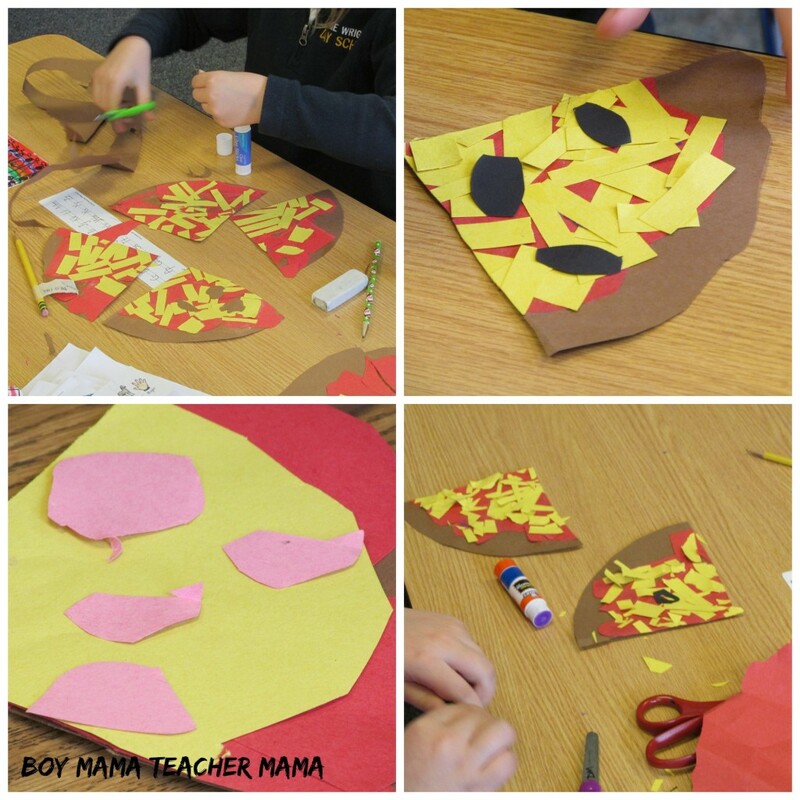 In past years, I always made “fraction pizzas” with my first graders and they LOVED it!! 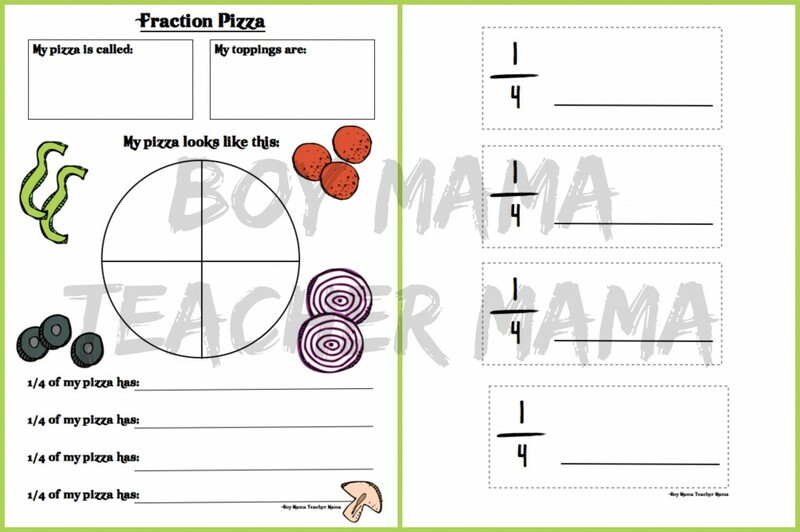 So, I pulled out my files, updated them a bit and we fraction pizzas. Here is how we did it. I traced circles on brown paper for each student. I did this for them because I wanted as true a circle as possible so their fractions were as close to accurate as possible. After they cut the circles out, I had them fold the circle twice (forming quarters). I then gave them time to make their pizzas. First they added the sauce. I then had them cut their pizzas along the fold lines they made earlier. After cutting, each student had 4 equal pieces. They were then asked to put one different topping on each piece of pizza with no repeats. 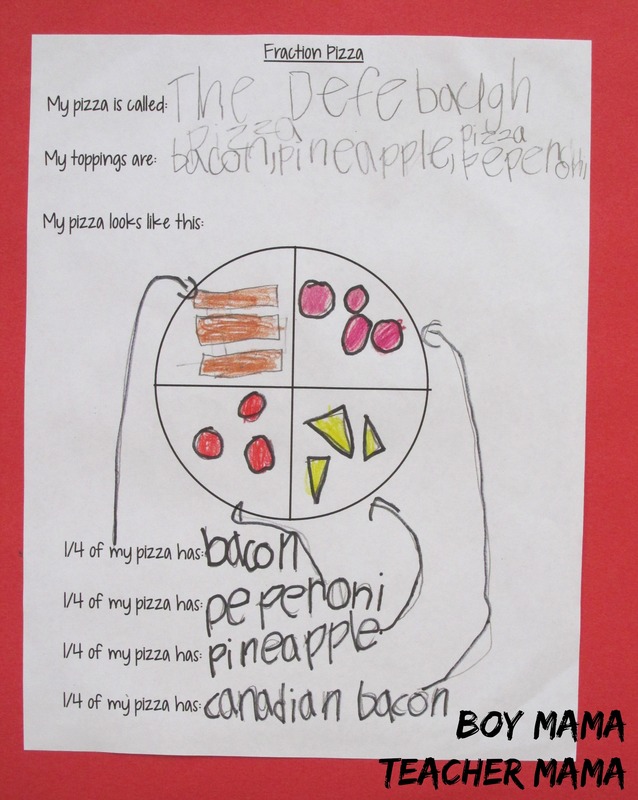 We had all sorts of toppings- olives, ham, bacon, mushrooms, green peppers and even pineapple. At this point, the group gathered together and we talked about fractions. How they worked, what they mean and I even introduced them the words numerator and denominator. They knew quite a bit more than they imagined simply from cutting things in half and from sharing food or game pieces. 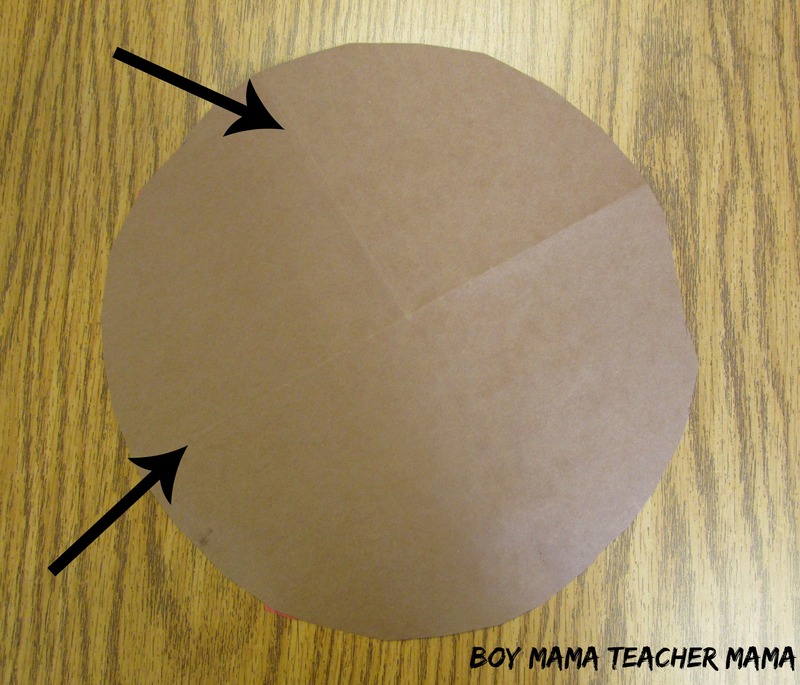 After our discussion, I then had them glue their fourths or quarters onto a large piece of construction paper. They used a prepared paper (see below) and labeled each quarter or fourth according to the topping they put on their pizza. For example, a student who used olives, pineapple, extra cheese and sausage, labeled 1/4 olives, 1/4 pineapple, 1/4 sausage and 1/4 extra cheese. 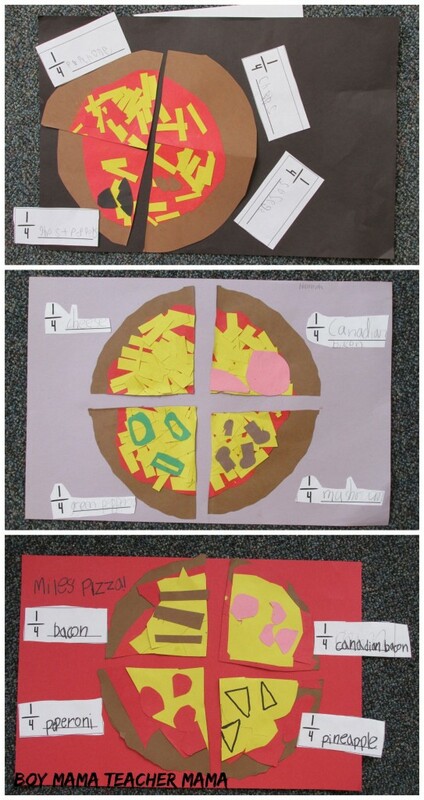 Here are a few examples of my students’ pizzas. 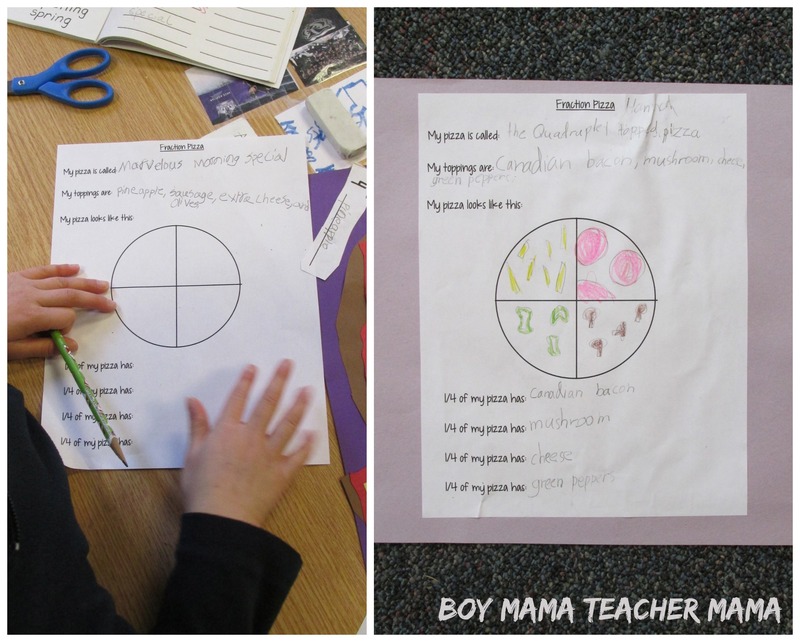 The final step was to fill out the Fraction Pizza paper. See below. 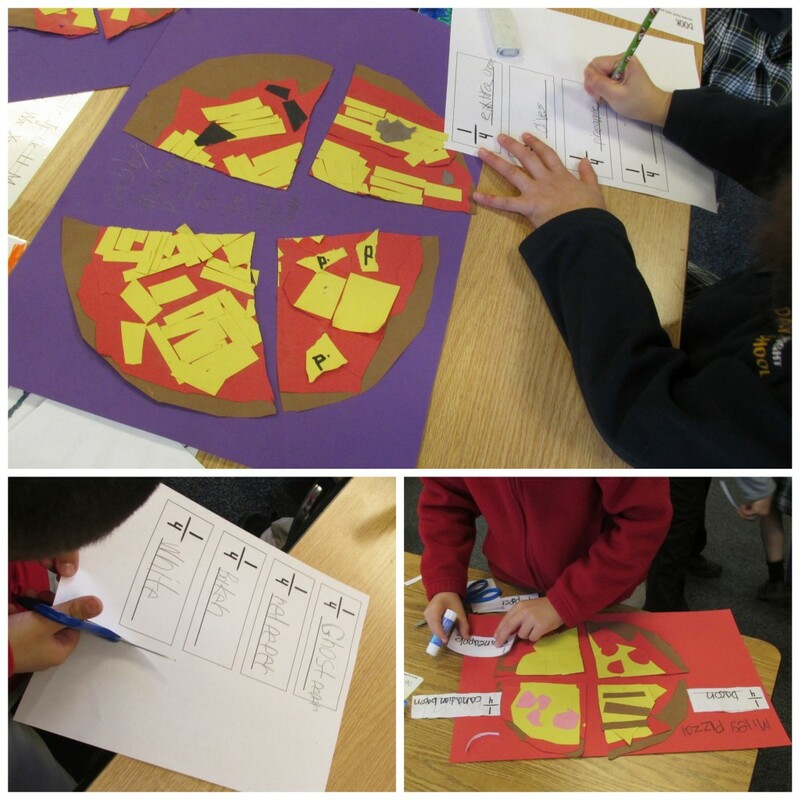 Some students decided to do the process a second time but dividing their pizza into halves this time. 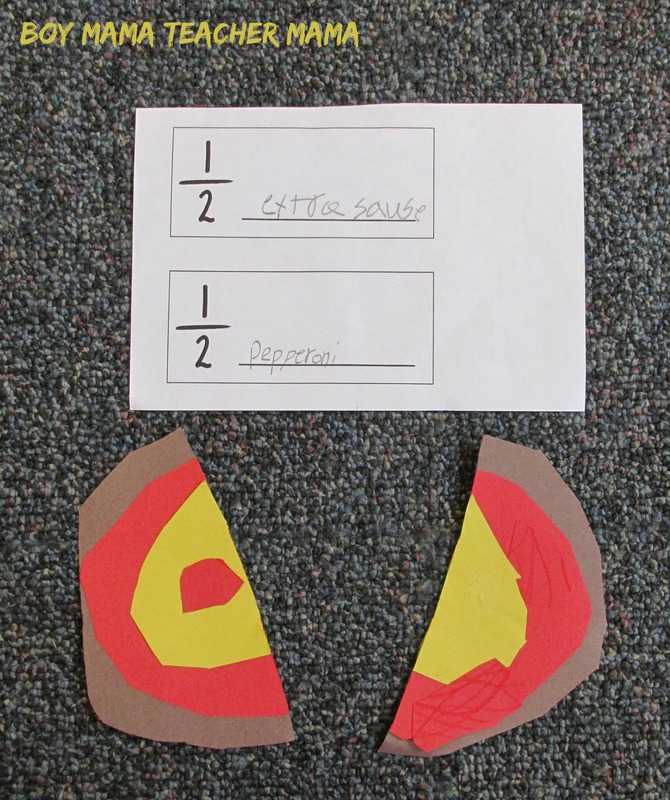 Here is a sample of one student’s pizza cut in half. That’s it. The class really enjoyed this activity and learned a great deal from it. 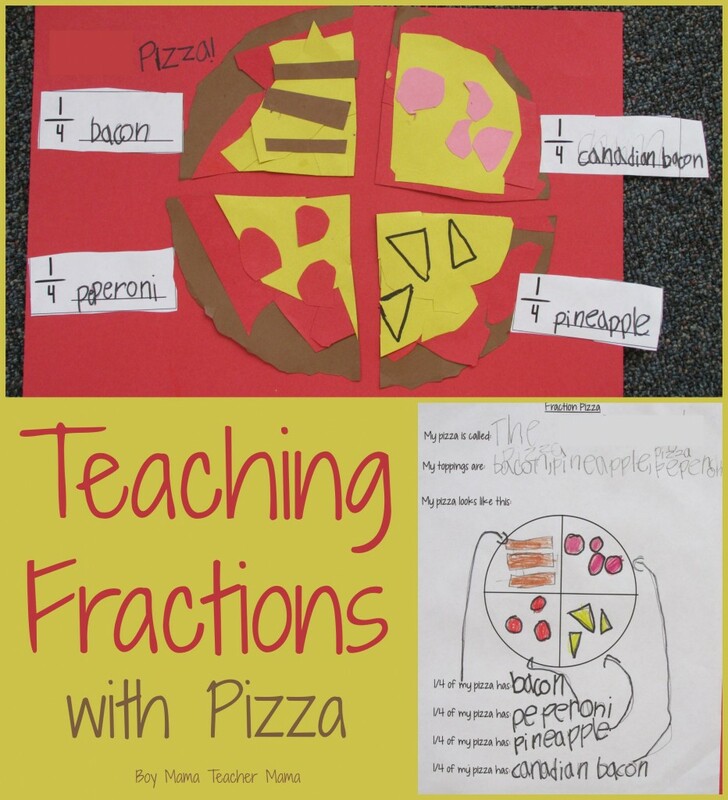 This is a great idea for teaching fractions. You are a genius for using a high interest topic like pizza! This is great! My boys always learn better when there is food involved! What fun! 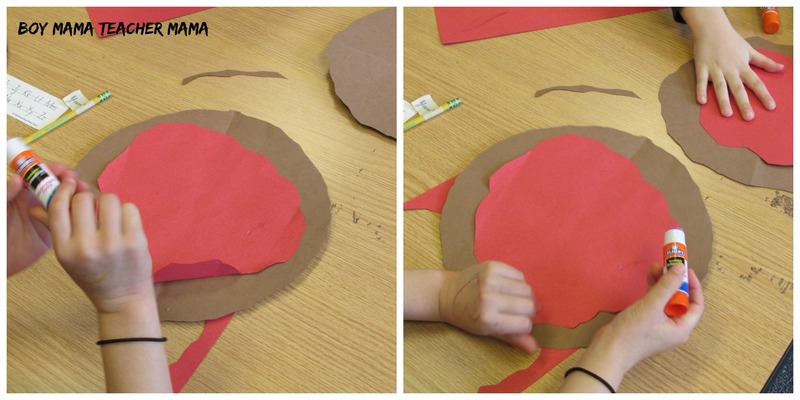 These hands-on activities are always the best way to learn. I really like all of the extensions. When learning fractions we baked little monkey bread muffins. Yummy and fun.